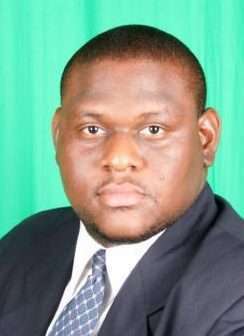 Senior Technical Coordinator in the Education Ministry, Marlon Morgan, has launched an attack on Opposition legislators, including the late East Portland Member of Parliament, Dr Lynvale Bloomfield. He’s describing as hypocritical, legislators who last year voted against an extension of the States of Public Emergency. Dr. Bloomfield’s body was found at his home in Portland, with stab wounds, on the weekend. Mr Morgan says it’s ironic that Dr Bloomfield and his colleague MPs were ok with other citizens being murdered, not knowing one of them could be among the statistics. In a post on Social media website, Facebook, last evening, Mr Morgan says when legislators debate in Parliament, they do so from a position of comfort and detachment from the reality of many of the people they represent. Mr Morgan says many of those citizens have to contend with zinc fences, and marauding gunmen daily. Mr. Morgan says it is precisely for this reason why the “cries, howls of concern and pleadings of the people of St James” for a further extension of the State of Public Emergency in the parish fell on deaf ears. States of Public Emergency, were declared in St James, St Catherine North, and sections of the Corporate Area. But they’ve all expired as a result of the Opposition’s decision not to support the government’s request for another extension. Mr Morgan notes that Dr Bloomfield was among those who refused to support an extension of the enhanced security measures. He says that’s because as he puts it ‘gunfire wasn’t barking in Dr Bloomfield’s community of Passley Gardens, as they do in sections of St James’. Mr Morgan is describing that move as hypocrisy and says it ‘stinks’. Mr Morgan says the irony is not lost on him, as he says the MP didn’t believe he would be murdered. He wrote: “The honourable gentleman didn’t conceive of murder turning up at his door.” He says the Opposition MPs, based on their votes against an extension of the States of Public Emergency, were not concerned about others being murdered. Mr Morgan says they knew that a discontinuation of the States of Public Emergency, meant people would be murdered and it seem he says they were okay with murder “turning up at the doors of others”. Di travesty! Di hypocrisy!, Mr Morgan wrote. He says: ‘when rain a fall it fall pan every housetop top. We would do well if we were to bear that in mind at all times’. He then wrote hashtag We Must Unite In Fighting Crime and hashtag Stop The One-upmanship. When Nationwide News contacted Mr Morgan last evening, he said he had nothing else to say, and that people may interpret his post as they see fit.